Jane Austen's best-loved novel is a memorable story about the inaccuracy of first impressions, about the power of reason, and above all, about the strange dynamics of human relationships and emotions. In this special colourized edition, Hugh Thomson's delightful period illustrations, which were originally black-and-white, have been sensitively coloured by Barbara Frith, one of Britain's most accomplished colourists. This beautiful edition is a fitting tribute in celebration of the book's 200th anniversary. Hugh Thomson (1860-1920) is the finest exponent of period illustration in what is sometimes known as the 'powder and patch' school. He was in great demand and he was commissioned to illustrate Shakespeare, Sheridan, Goldsmith, Hawthorne, Elizabeth Gaskell and the popular plays of J. M. Barrie as well as Jane Austen's six complete novels. Jane Austen was born in 1775. The seventh child of a country rector, she lived at Steventon in Hampshire until 1801, when she moved first to Bath, then to Southampton. Her father died in 1805, and from that time the Austens settled at nearby Chawton. 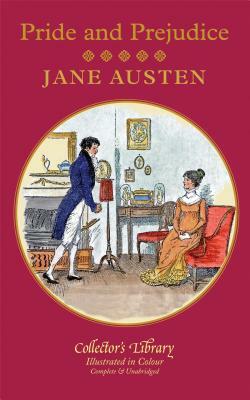 From a young age, Jane entertained her family with stories and plays; by age twenty-three she had written early versions of her first three major novels, "Sense and Sensibility, Pride and Prejudice," and "Northanger Abbey," though they were not published for several years. Twelve years later she started work on "Mansfield Park" and" Emma," and "Persuasion," her last complete novel, soon followed. Jane Austen died at Winchester in 1817.